Orlistat is a weight loss drug that is prescribed by doctors and designed to be used in conjunction with a reduced calorie diet and exercise. It can be a very efficient weight loss provider, that’s why doctors prescribe it in the first place, but patients need to meet certain criteria before any doctor will consider prescribing Orlistat to help them lose weight. What is Orlistat and How Does it Work? Orlistat is a medicine prescribed to help with weight loss. It serves no other function. 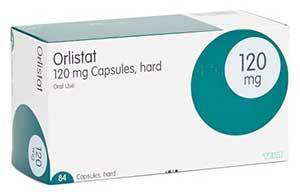 Orlistat is the name of the active ingredient, not the name of the brand, and each capsule provides 120mg. It assists the weight loss process by blocking the action of the enzymes the body uses to break down and digest fat. It is very efficient at doing this and can block around 30% of ingested fat. Fat is a high calorie nutrient. Each gram provides 9 calories. That’s more than double the amount of calories a gram of protein or carbohydrate contains, so the fat blocking ability of Orlistat can be very effective for lowering the amount of calories the body receives in a day. Of course, that 30% of undigested fat has to go somewhere, so it passes through the intestines and exits the body with the stool, and its presence generally makes the stool softer and more greasy than normal. Doctors only prescribe Orlistat to patients who are obese and certain criteria must be met before any patient is considered a suitable candidate. Be aged 28 or over. Have a Body Mass Index (BMI) that is 30 or higher. Have a medical condition, such as high blood pressure or diabetes, that would benefit from losing weight. If a patient qualifies for an Orlistat prescription the doctor will provide advice on any necessary lifestyle changes (diet, exercise) and closely monitor their patient’s progress. If a patient fails to lose at 5% of their body weight within three months of taking the drug the treatment will be stopped. However, when patients prove to be responding well to the treatment it can be continued if necessary and, in the case of extremely obese individuals, it is feasible the treatment could go on for two years or more. Even if all the necessary criteria for a prescription are met, Orlistat may still be an unsuitable option. People suffering from malabsorption syndrome (a condition where food is not absorbed correctly). People who suffer from cholestasis (a condition that interferes with the normal bile flow between the liver and the duodenum). Anyone with an underactive thyroid gland. Orlistat can also interact badly with and/or reduce the effectiveness of certain medications. How to Take Orlistat – One (120mg) Orlistat capsule is required with breakfast, a second with lunch, and a third with dinner. Capsules can be taken up to 60 minutes before or after lunch, but users need to remember Orlistat works by blocking fats. It offers no other benefits. So if a meal is missed, or whenever a fat-free meal is chosen, the medicine will not be required. Some degree of stomach discomfort and/or wind cannot be entirely ruled out, but the main (for want of a better word) side effect users are likely to experience is greasy stools. However, people who do not make a sensible effort to lower the amount of fat in their meals may regret the oversight. Nor should Orlistat be considered a cheat pill that provides a means to eat a high amount of fat without paying the consequences because eating too much fatty food while taking the drug will have consequences, and they may be very unpleasant. Eating a higher amount of fat will give the drug more fat to work upon and its fat blocking action will cause an increased amount of undigested fat to pass through the intestines. Its greasy nature may cause the fat to move quite fast. At the best this may lead to an urgent need for the toilet. At the worst it could result in soiled underwear and/or unnecessary embarrassment. So any Orlistat user considering popping out for burgers and fries and then catching the bus home, needs to think twice. Potential Orlistat users also need to be aware there are worries the drug may cause more dangerous side effects. Research conducted at the University of Rhode Island indicates the drug may have the potential to damage the liver and kidneys. The FDA has been informed and, although Orlistat remains available via prescription, the FDA has approved a revised label that includes a warning about liver damage. 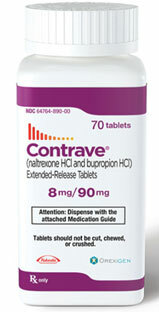 Contrave is a prescription-only diet pill produced in America by Orexigen. It contains just two active ingredients (bupropion HCl and naltrexone HCl), both of which are prescription medicines in their own right. When used in conjunction with a low calorie diet and exercise, the use of Contrave for weight loss has been approved by the Food and Drug Administration (FDA), and although other countries have their own approval bodies, that fact that Contrave has been approved by the American FDA is a major point in its favour. However, it must be remembered Contrave is a drug, not a supplement, and it has been designed specifically to help people who have a BMI of 27 kg/m2 or greater and are suffering from at least one medical problem that is weight-related. Supplement manufacturers often make big promises for their products, but Orexigen is a biopharmaceutical company. Their products are distributed via doctors, so there are no bold or exaggerated claims. Orexigen state their product “may help some obese adults or overweight adults”, but their soft-sell approach still carries a lot of weight because Contrave has clinically-proven abilities. 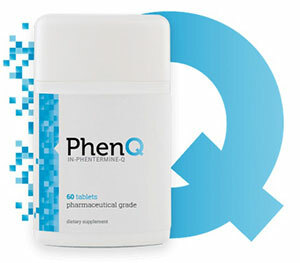 PhenQ is a highly effective multi acting appetite suppressant, fat blcoker and fat burner. It has been available to buy since it’s release and highly regarded amongst all factions of the weight loss and diet community. 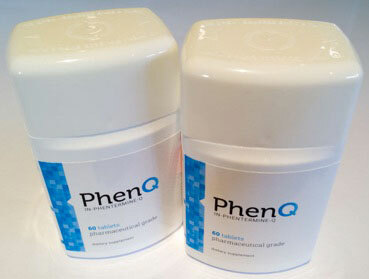 PhenQ is phentermine alternative but available to buy direct from it’s own official website without prescription. Orexigen don’t explain how the pills work, but one scholarly article suggests appetite suppression is probably the main benefit offered. Bupropion HCl has proven appetite suppressing capabilities, so this seems to be a highly plausible theory. Two studies support the weight loss capabilities of a combination of bupropion HCl and naltrexone HCl. This may help explain why the FDA approved Contrave as a weight loss medication. Such approval does not come often. The last time a new weight loss medication was approved by the FDA was in 1999, when it approved the use of Orlistat. Bupropion HCI: Often prescribed for the treatment of depression, bupropion HCI can stimulate certain areas of the brain and these abilities also appear to assist weight loss. In one study, conducted in America at the Duke University Medical Centre in Durham, volunteers who received the drug achieved an average weight loss of 12.9%. Naltrexone HCI: A medication that is often prescribed to people who are being weaned off alcohol or opioid drugs. At least one study has been conducted into the abilities of naltrexone HCI as a weight loss aid, and the results were not supportive, but that is not to say it may not prove more useful when combined with other ingredients such as bupropion HCI. How to Use Contrave – the formula has been approved to be used alongside dietary changes and regular exercise. New users are prescribed a lesser dose and must build up to the full dose of four pills a day. For the first week one pill should be taken each morning. The following week a second pill must be taken on the evening. During week three, two pills are taken each morning, followed by one pill in the evening, and from week four onwards patients are required to take two pills each morning and two more every evening. A statement on the manufacturer’s website states Contrave can cause serious side effects, and puts particular emphasis on the possibility of users experiencing suicidal thoughts or actions. It is only possible to use Contrave if it is prescribed by a doctor.